So the unit pictured below is one of the pieces I found for next to nothing at a church garage sale a few weeks ago. While testing it out today I discovered that some yahoo broke off the part of a male optical cable I guess while removing it from the back of the unit. There's a plastic part of the optical cable stuck in the female port. I've tried everything possible including tweezers, a pair of Kelly forceps, a darning needle and a pair of needle nose pliers trying to get that damned little piece out. No luck. 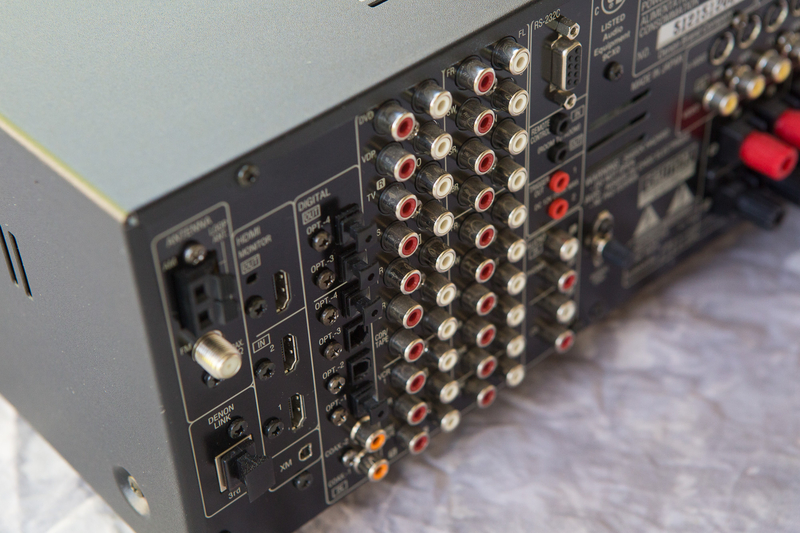 So... taking off the top I see that the optical inputs are part of a green board that connects to the rest of the unit via ribbon cables and sits atop what appears to be a motherboard. 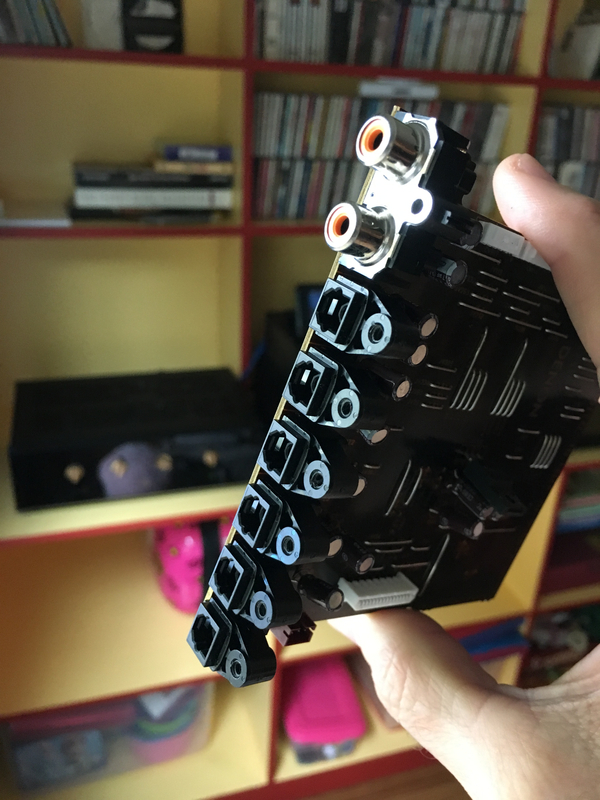 Is the green board for the optical inputs soldered into the motherboard, or should I be able to wiggle it free after having unscrewed the board from the back of the unit? 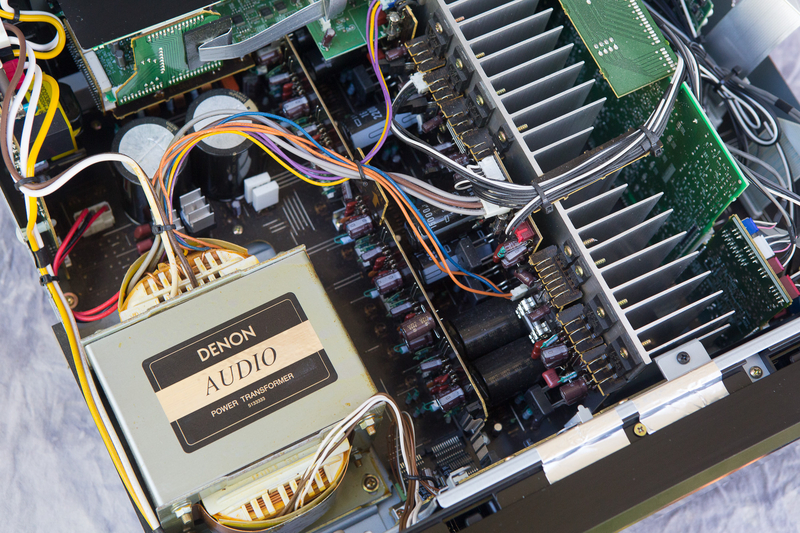 There's a service manual at https://www.manualslib.com/manual/949310/Denon-Avr-3806.html The relevant pages are 86 and 88. The board I'm dealing with is part 1-2 on page 86, referred to as a "1U-3700-2:DIGITAL IN UNIT" on page 88. 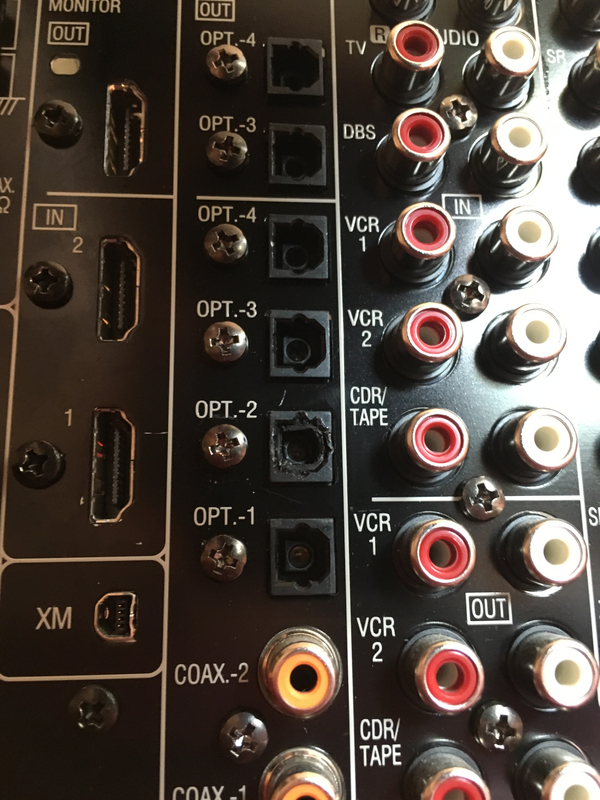 One of the images below barely shows the stuck piece of cable in OPT-2 in the rear of the unit. The other gives a general idea of the innards of the thing. When using one needle to pry it out, it is possible that when putting pressure on the broken piece, you are sort of skewing it a little, and it can't slide out straight. Maybe try 2 needles, each opposite the other. Then the piece might not be getting pushed up tightly to one side and slide out easier. If you can't remove it without serious risk of damage, I would try to find a repair shop to bring it to. Considering its age, it's a real robust AVR, for next to nothing I would say it's definitely worth it - as long as the HDMIs work (all two of them ). What about carefully threading a screw in there? One with just enough bite to grab the plastic of the broken male connector, then pull straight out. That's a damned good idea. The double darning needles don't seem to be working. That's a good trick. I've used it myself for other similar instances. Another good trick I've learned as I get older (in case all else fails)... Just forget about it! 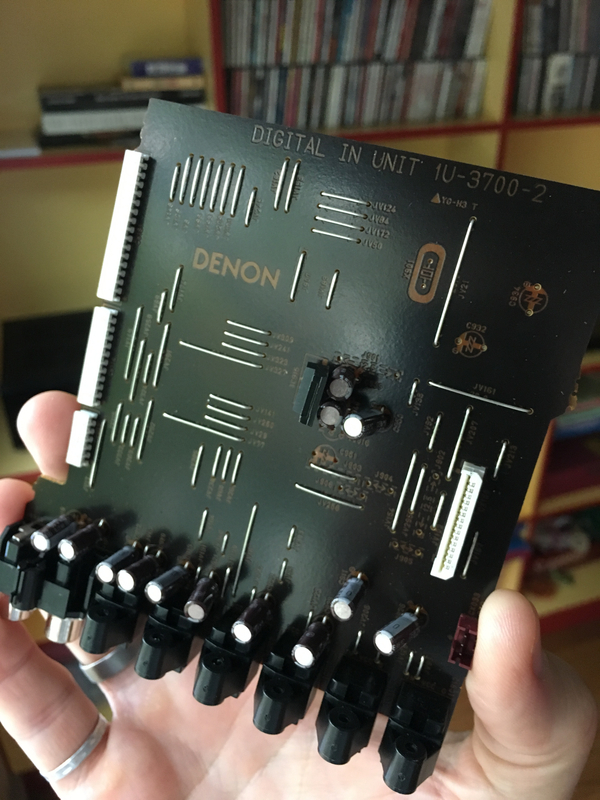 Do you really need 4 digital inputs? Well, gents. None of the above worked. I tore that port up pretty well. Ended up opening the unit up, removing the digital card, finding one for $10 on eBay, putting everything back together and, voiá! Tested good as new! Appearing soon at a Flea Market near you.